Whether it’s at the library, the mall, or the park, every year the Eau Claire Regional Arts Council’s ARTmobile helps foster creativity in thousands of Chippewa Valley youngsters. Here are two artistic ideas from the ARTmobile’s colorful archives that will warm up even the gloomiest winter day. 1. Child will learn about stained glass windows and see examples. 2. Child will learn about using outlines to create images. 3. Child will glue yarn to cardstock to create outlines of his or her image. 4. 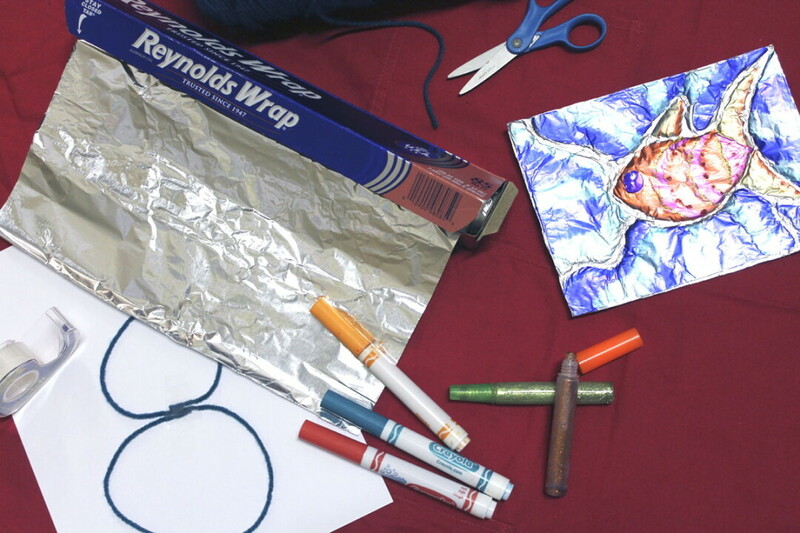 Child will cover cardstock with aluminum foil and uses a pencil to press down on the foil, outlining the creases made by the yarn. Project should be easily accomplished by ages 4 and up with help from a grown-up. Project should be accomplished in 30 minutes or less. • Learn about how stained glass windows are created. • Learn about how images can be made using outlines and blocks of color. • Introduce children to stained glass window art. • Use outlines to create their own images. • Practice manipulating objects and using tools to create their images. 1. Child will be introduced to what mosaics are and the places where they are used. 2. Child will receive a black piece of construction paper and use a pencil to plan a simple image. 4. Introduce child to using multiples shades and tints of the same color together to create visual interest. • Introduction to using mosaics in art. • Practice planning out an image before creating the final product. • Introduction to (or review) tints and shades of colors. • Use planning skills to create a pencil sketch of his or her desired art before adding mosaic pieces. 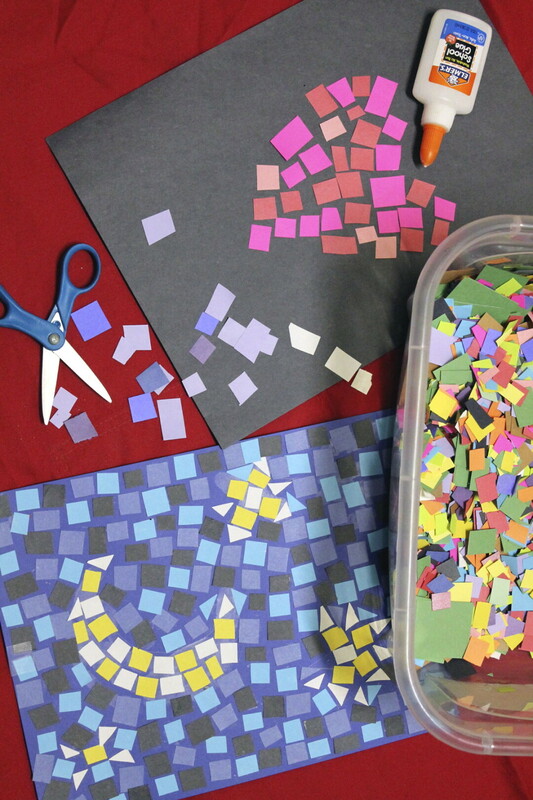 • Use various tints and shades of color squares to create visual interest. • Practice manipulating art materials to create his or her desired artwork. Looking for the ARTmobile? You can find it at Oakwood Mall at 10am each Saturday through the end of April.